One of the many things I love about printmaking is the ability to make one image look an infinite numbers of ways. 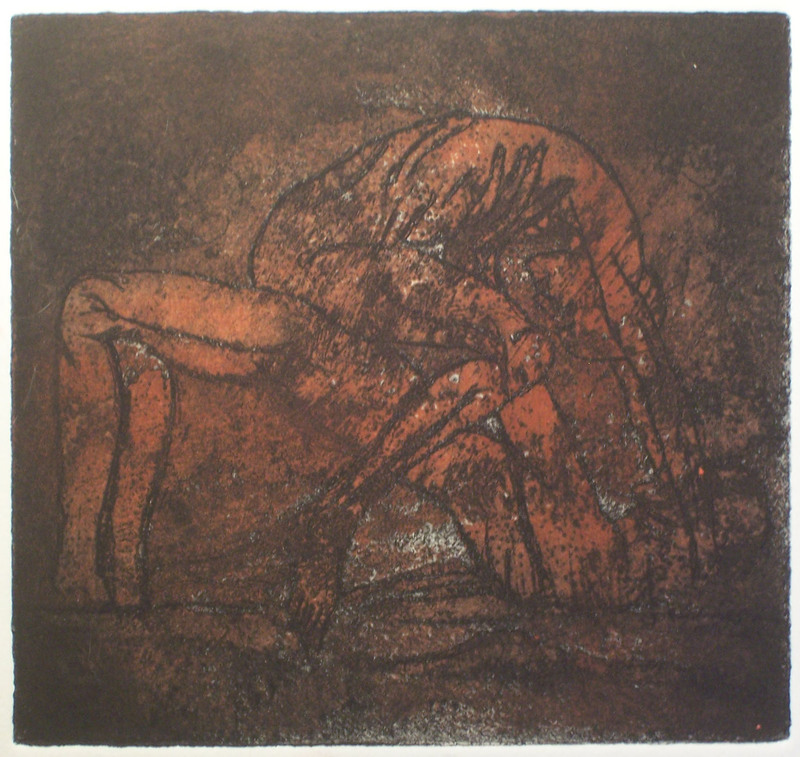 This is an etching on a found plate with hard ground and aquatint. These three prints were done using viscosity printing techniques. 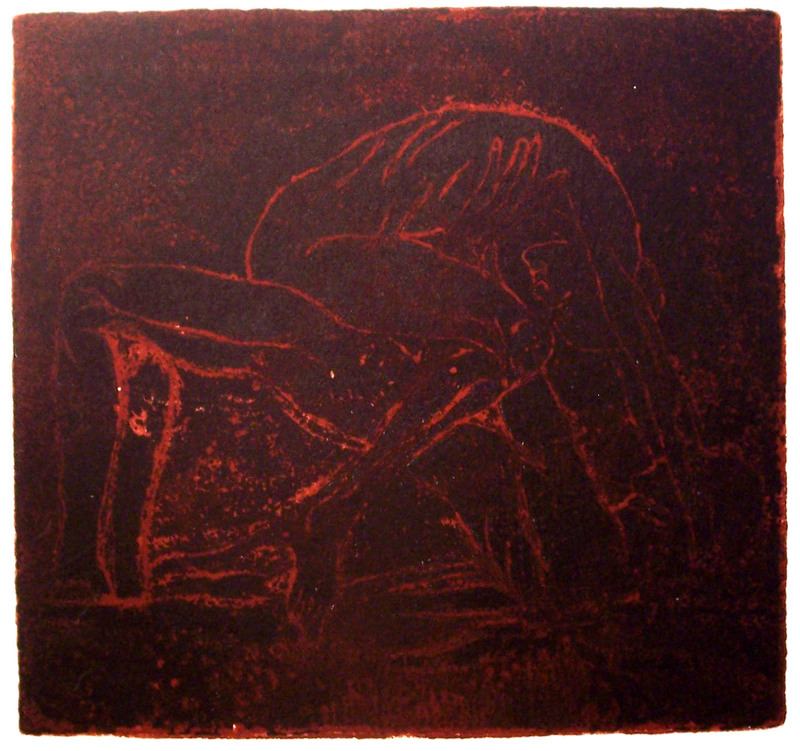 The first color was carded on and wiped with the tarleton rag like a regular intaglio plate. 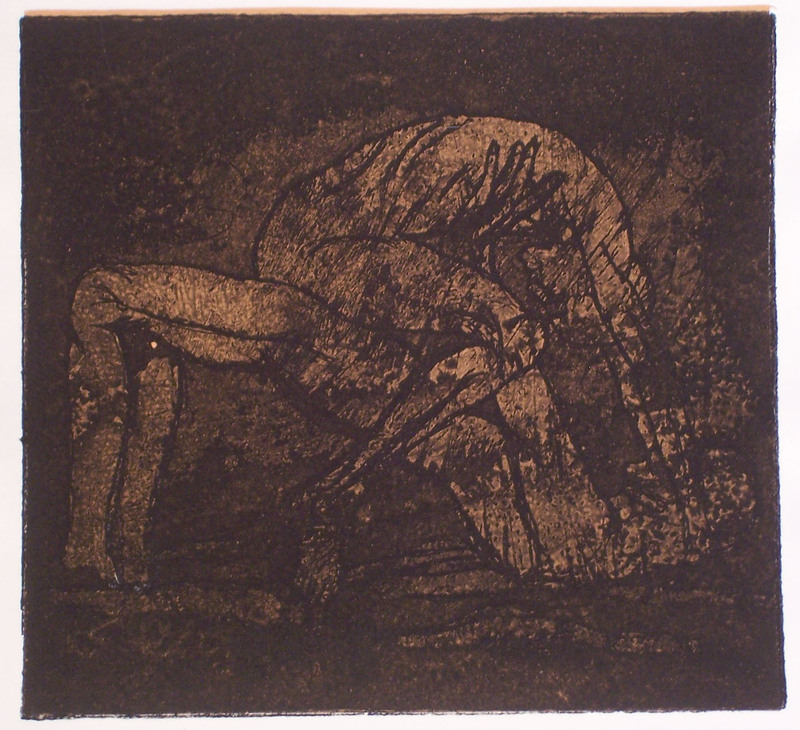 The second color, instead of being on a second plate, is rolled on with a hard roller and ink that is more viscous than the ink used for the first color. 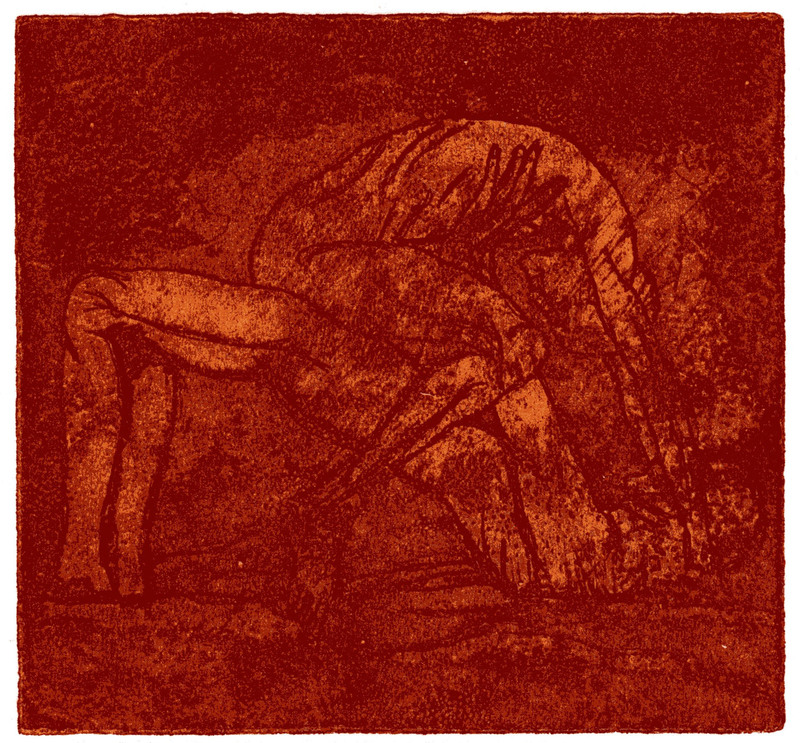 This print is the same plate but instead of using the viscosity method, I used chine-collé to make the second color. Chine-collé is when an image is printed on a piece of paper that is glued to another piece of paper. So here the image is printed on a colored piece of paper which is glued to a piece of white Rives BFK with wheat paste.